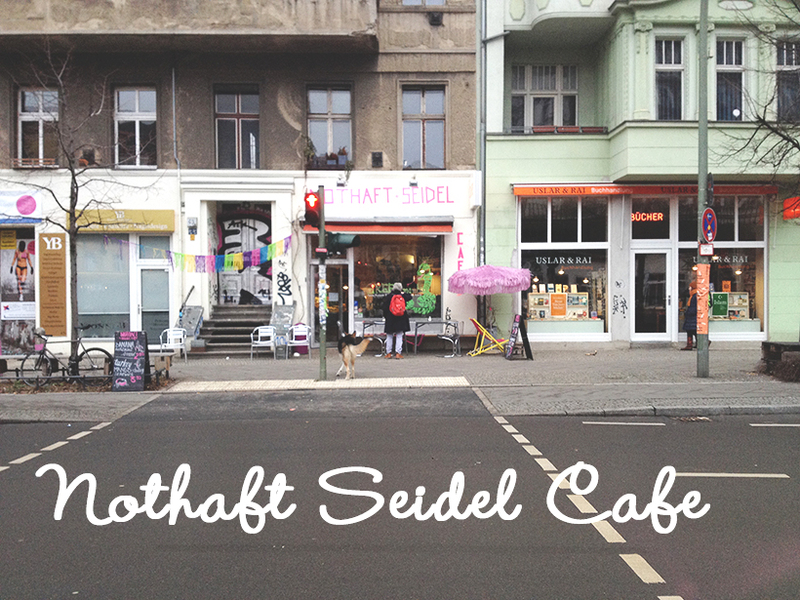 You won’t find the typical Prenzlauer Berg mom with stroller in this coffee shop. It is mostly twenty- and thirthy-somethings that come here to meet up, to enjoy a flat white while working on their laptops. Nothaft & Seidel is one of the few places in the area with such an edgy and industrial look. The furniture is mostly vintage school tables and chairs. The walls are unfinished, with different patterns of tiles and a visible brick every now and then. Two weeks ago, I paid a visit to Nothaft & Seidel. When I entered, I was directly drawn to the huge, but perfect looking scones that were luring me from underneath a bell jar. Of course, I ordered one, this time, with a green (Kusmi) tea. Unfortunately, my scone did not come with clotted cream and/or jam, they did offer to add whipped cream. Oh well, why not? Cream is cream! The scone was very tasty, the whipped cream combination not so bad either. The only disadvantage, if you can call it that, was the quantity. 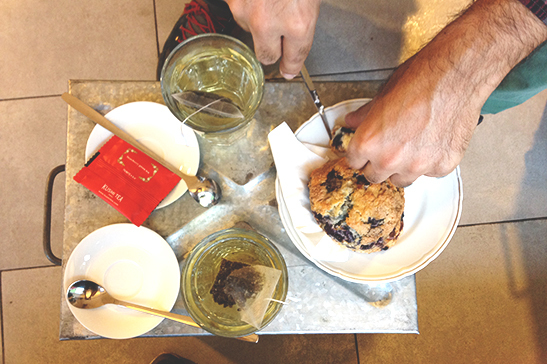 Sadly, I was not able to finish the scone. 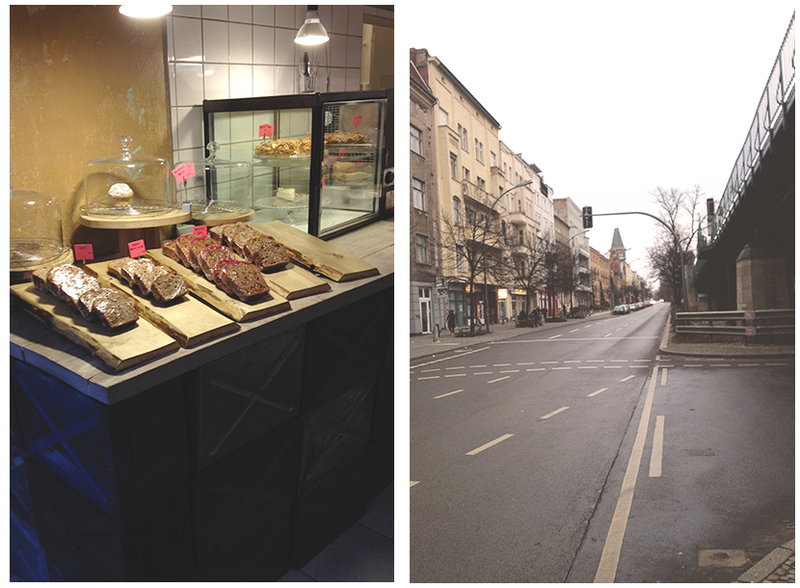 Service is friendly and works hard, also in the kitchen, where delicious baked goods are prepared. The interior has despite of its industrial look, a cozy feel to it. 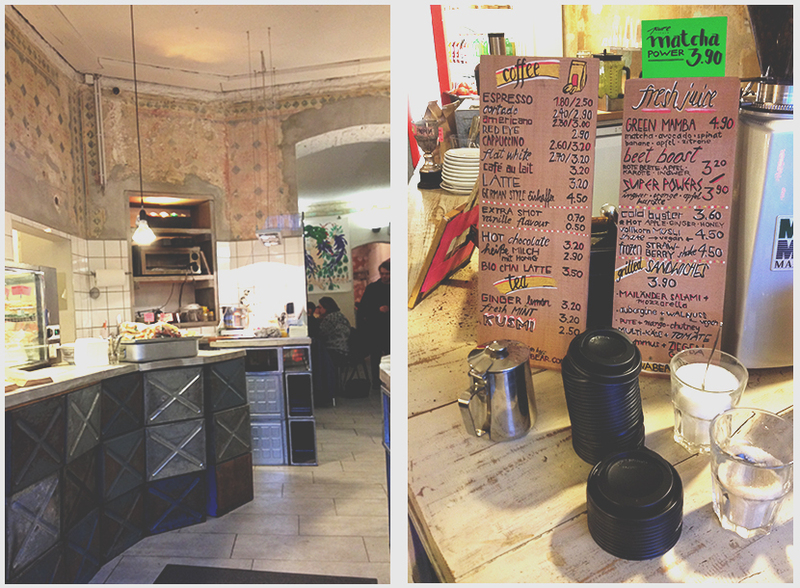 A very nice and unique place in the heart of Prenzlauer Berg. Heel handig dit blog. Voor mij Als regelmatige bezoeker van Berlijn goede tips om weer eens een andere eet en drink locatie uit te proberen. Ik hoop op nog veel tips van jouw hand.